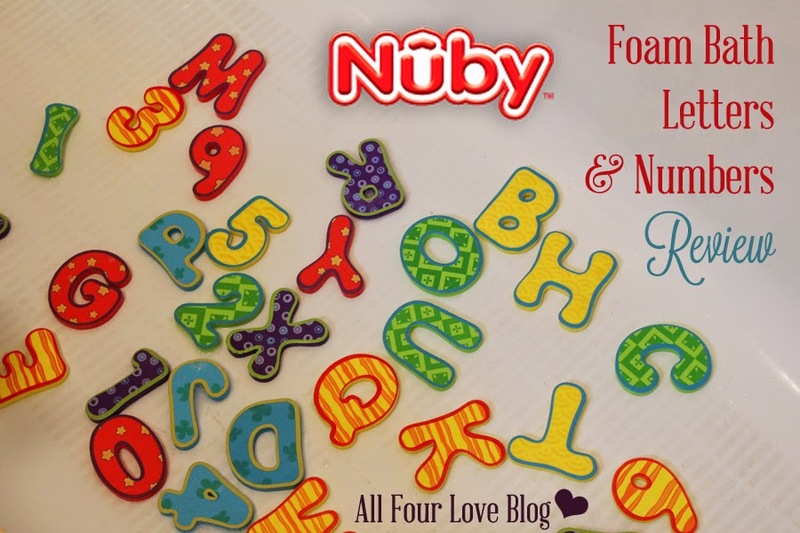 **This post was sponsored by Nuby and contains links to their products and media outlets. The product being reviewed was provided to me by Nuby free of cost. My kids absolutely love the bath. Just this evening, we mentioned a bath and Charlie had stripped down in about .02 seconds. When they were in the tub, I told Charlie that I had something special for him and his eyes lit up. I dumped the Foam Bath Letters & Numbers into the tub and he about lost his mind! He loves letters and counting, so these were right up his alley. There are 36 foam pieces in all (26 letters and 0-9 numbers) with super colorful patterns on the front. Charlie spent the bath pointing out all of the letters he knows and sticking them to the walls and tub sides. He has recently learned how to spell his name, so it was a lot of fun to "fish" for his letters and put them in order. We also played counting games, iSpy, and color recognition. It was a very educational bath time! After the bath, the letters dried quickly and Charlie continued to play with them on the coffee table, which was a nice bonus. Though she is too young for letter and number recognition, Ginny enjoyed playing with them as well. Aside from a little bit of chewing, she got a kick out of how they'd stick to the walls.....and dramatically swatting them back down into the bath water. Are colorful and the designs help identify the front and therefore the correct orientation of the letter. Stick to the walls and tub easily. Dry quickly without getting grungy. Come in a large set with plenty to share between siblings. Entertaining to toddlers of all ages! I wish I had more pictures of the kids actually playing with the letters, but I couldn't get any good shots without totally naked kids in them. Ginny is in the "let's stand up in the tub phase!" and Charlie is following suit making for a lot of baby tush in the pictures! Cute, but not for the whole internet! 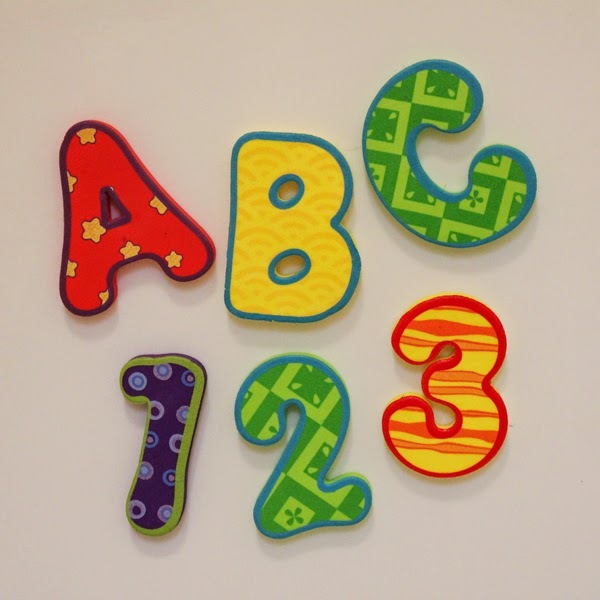 You can pick up the Foam Bath Letters & Numbers from Buy Baby Direct and Meijer. Check out Nuby's social media sites for coupons and info about their other awesome products!